Just for a change, the Joypadandme team have decided to duck and dive away from racing games and first person shooters and take a more pugnacious approach to their gamer nights. 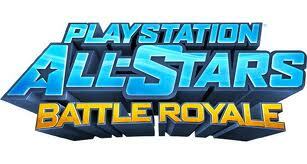 With the recent great deals, on both sides of the pond, for Sony’s beat-em-up game characters tribute, Playstation All Stars Battle Royale, they thought they would jump online and try a hand at a bit of Free For All. Do you feel up to taking on the might of the Joypadandme team? Fancy trying to knock a few platinum trophies out of the Stig’s leather-bound claws? Tempted to remove Darth’s Fleshlight with an energy whip? Aching to snipe Wellbeingosteo from afar, Battlefield stylee? Hoping to silence the silky, velvet voice of NMReign with a sonic boom? Wishing you could crush Jedijunkie’s windpipe in a force grip? Wanting to knock Vdjomb’s basball cap off with a bloody big sword? You can. Check out the details below.